R. B. Kitaj (1932-2007) is one of the most intriguing 20th-century artists. Curating The Human Clay, a 1976 show of figurative contemporary British artists, he coined the term `School of London' for the artistic circle around Francis Bacon, Frank Auerbach, Lucian Freud and Leon Kossoff. A major 1994 retrospective at the Tate Gallery failed to produce Kitaj's international breakthrough; in fact, it was savagely panned by British critics. This, and the sudden death of his wife Sandra, induced his increasingly paranoid perspective. Embittered, he returned to the USA and settled in Los Angeles, where he finally took his own life in 2007. Kitaj left behind a manuscript unmatched among 20th-century artist autobiographies. Eloquently describing his vices and sufferings, it tells the story of an artist vacillating between America and Europe. Now published in paperback for the first time, it is a sensation, from both a literary and an art historical point of view. 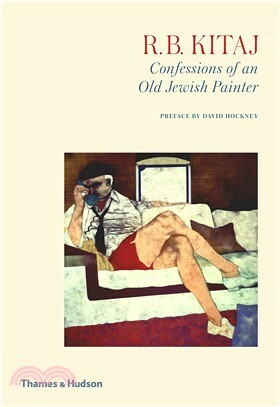 It includes a preface by Kitaj's close friend, David Hockney, and an epilogue by Eckhart J. Gillen, who discovered the manuscript when he prepared the 2012 Kitaj retrospective exhibition at the Jewish Museum in Berlin.